Today, Apple unveiled the new iPhone 7, Watch 2, plus a huge addition to the App Store to a captivated audience in San Francisco – and it’s the end of the line for headphone jacks. 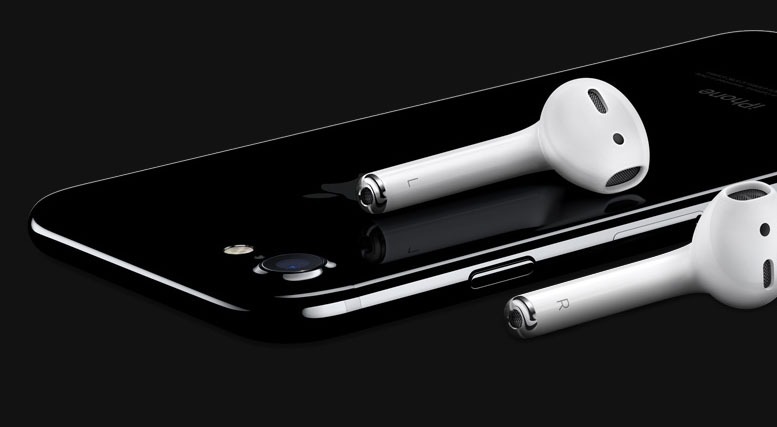 The new iPhone will have no analogue headphone connection, instead relying on a Lightning headphone connection instead. “We designed Lightning to be a great digital audio connector,” said Apple’s Phil Schiller, introduced by CEO Tim Cook. According to Schiller, there are now more than 900 million Lightning enabled devices in the world, making it Earth’s largest digital audio connection. The new Lightning headphones will be included in the box with the new iPhone, along with an adapter for anyone that wants to stay old school. “Our smartphones are packed with tech and we want more,” said Schiller. “They’re all fighting for space in that enclosure, and maintaining an ancient, analogue connector doesn’t make sense. If you’re not a fan of any kind of connection, Apple has good news for you too. They’ve developed their first wireless headphone – AirPods. 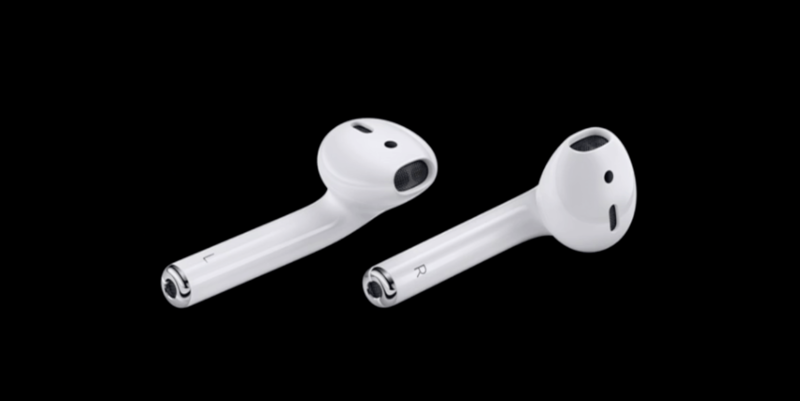 The AirPods use Apple’s first ever wireless W1 chip and infrared sensors to detect when the ear buds are in your ear, and motion accelerometers to allow you to access Siri. In addition, voice accelerometers recognize the vibration of your voice, and automatically reduce external noise. The AirPods give you five hours of listening on single charge, switches between all Apple devices seamlessly with no pairing necessary. “This is a technical tour de force,” said Schiller, who added that Beats wireless headphones are also being released, including Beats Solo3 Wireless and Powerbeats3 Wireless. AirPods will start shipping late October at $159. 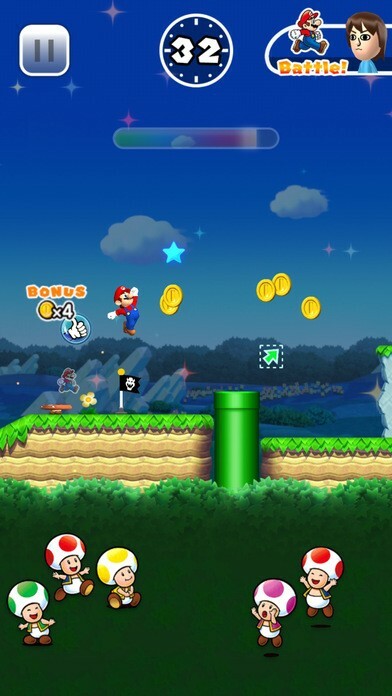 And if the camera update is anything to go by… well, prepare to be pretty impressed. The iPhone camera has been completely redesigned, to include an optical image stabilizer, 3x longer exposure, a wider f/1.8, six-element lens, and a 12 MP sensor. It features a Quad-LED True Tone flash, with 4 flash LEDs to give you more light, and a flicker sensor to compensate for flickering artificial light around you. 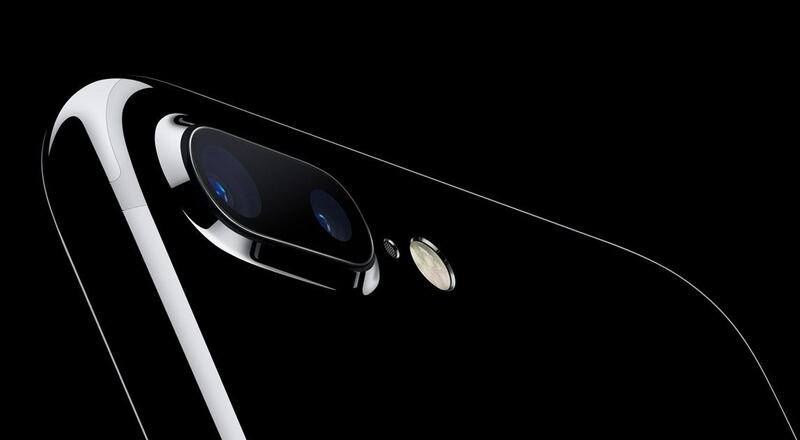 The iPhone 7 camera also includes face and body detection, then automatically sets exposure, pixels, white balance, tone mapping, and noise reduction. In short, says Schilling, the camera carries out 100 billion operations every time you take a picture and does that in 25 milliseconds. “This is the best camera we’ve ever made in an iPhone,” said Schilling, to an astounded audience. The FaceTime camera has been increased to 7MP HD sensor, to give you wide colour images and auto image stabilization. If one lens isn’t enough for you, you could opt for the new iPhone 7 Plus, which will have an extra 12MP telephoto lens. Yes, you read that right – a telephoto lens on a smartphone. The extra lens gives users a manual zoom feature, with 2x optical zoom, as well as a software zoom of up to 10x. But there’s more. The extra lens, when combined with a new Portrait feature, available in a free update later this year, will enable you to create a depth map of the image. That will allow you to apply blur to the background while keeping the subject in focus – mimicking a shallow depth of field and a “bokeh” – all in real time. The new iPhone 7 also now has stereo speakers, one each at the bottom and top of the phone, making it twice as loud, with an increased dynamic range. A new generation chip, the A10 Fusion, boasts a 64-bit 4 core processor, and is the “most powerful chip ever in a smartphone,” according to Schiller. A new performance controller will make sure processes are running for efficient battery life and the iPhone’s new graphics chip will be faster and use less power. Battery life meanwhile has also increased, to 14 hours of WiFi browsing and 12 hours of LTE – the longest battery life ever in an iPhone. In addition, Apple have used a new manufacturing process to bring users a unique, seamless Jet Black high gloss finish, as well as the usual range of colours. The iPhone 7’s new enclosure is water and dust resistant, with a redesigned home button, which is more responsive, customizable, and force sensitive. The new iPhone will cost the same as iPhone 6s, starting at $649, and come with doubled storage of 32GB, 128GB or 256 GB. The iPhone Plus will start at $769. Orders for the new iPhone start this Friday on September 9, shipping to the US and Canada starts on September 16. 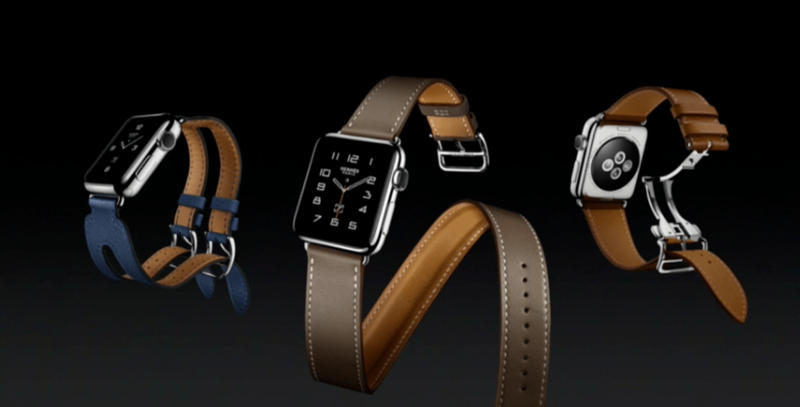 The new Apple Watch has also got a ton of upgrades. It will be totally swimproof, surfproof, cannon ball proof, and water resistant to 50 metres. Pretty amazingly, Apple managed to do this by redesigning the speaker system so it ejects any water collected at the end of the workout. Apple has also recalibrated exercise monitoring for swimming, added a new dual core processor, a more powerful GPU and the brightest display Apple has ever shipped. Apple Watch 2 will also have built-in GPS, with route maps available afterwards showing your varying speeds. 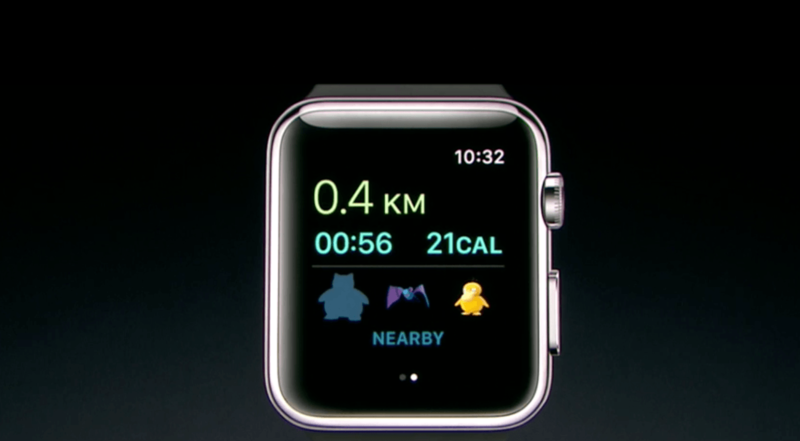 It also allows for the first ever hiking app on Apple Watch. ViewRanger gives you directions live, tells you about upcoming views and activities, allows you to see your current location and alerts you if you stray off route. Of course, Apple couldn’t overlook runners, so they’ve partnered with Nike to create the Apple Watch Nike plus, a custom watch designed for running, featuring motivational alerts. As well, there will be new white Apple Watch available in ceramic, as well as Hermés models, for the more fashionable among us. Apple Watch 2 will cost $369; orders open on September 9, shipping begins September 16. 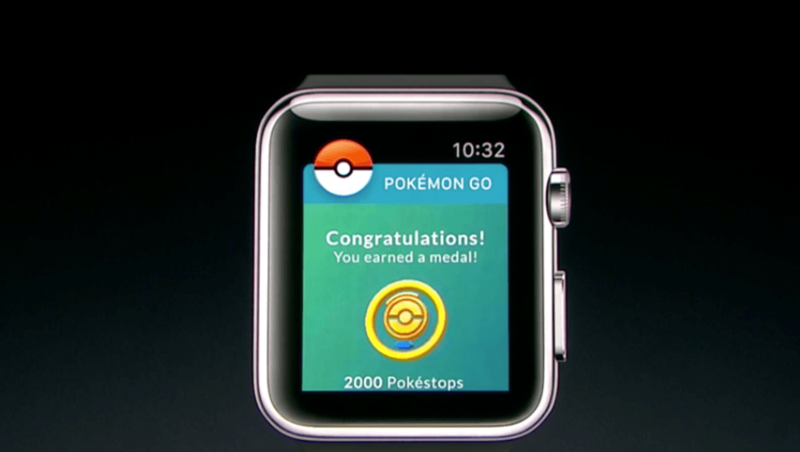 Soon you’ll be able to catch ’em all on the Apple Watch. Yes, a Pokémon GO app is coming to Apple Watch 2. According to Niantic, the original app has already been downloaded more than 500 million times, and players have walked more than 4.6 billion kilometres while playing the game. The Apple Watch app will combine game play with your walk or run, telling you how far you walked or ran, and how many calories you burned. But don’t worry, your watch will tell you alerts let you know when you reach a Pokéstop or have a chance to catch ’em all! The Pokémon GO app for Apple Watch will be available before the end of the year. In other updates, it seems 140 billion apps have been downloaded from the App Store since it launched, and in the last two months growth of 106% year on year. 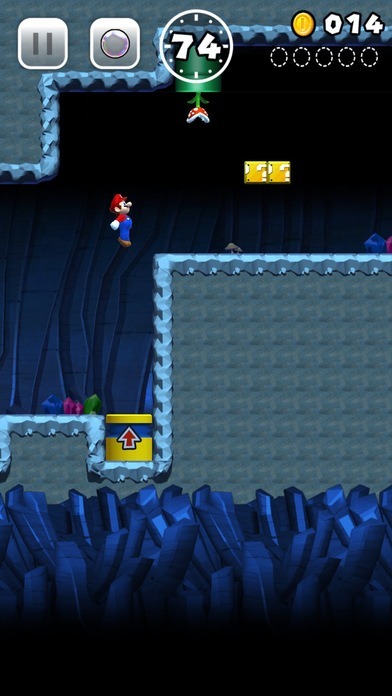 Gaming is the most popular category on the store, said Cook, but someone is missing: Mario. 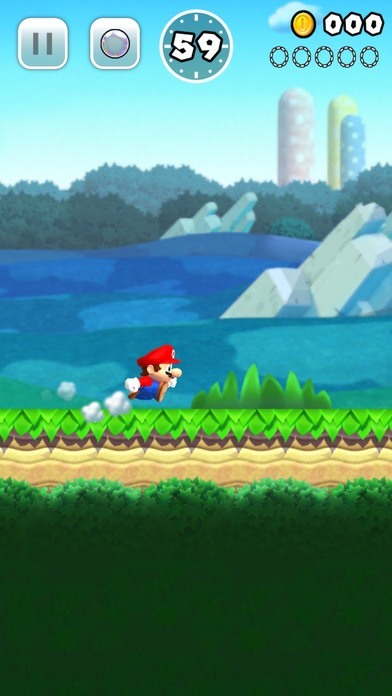 Yes, Super Mario Run will soon be available on the App Store! And for the first time, you can now play the game one-handed. There will also be a battle mode available, allowing you to play not only your friends, but for the first time also players around the world. And the cost? A one-off payment, with no subscription needed. 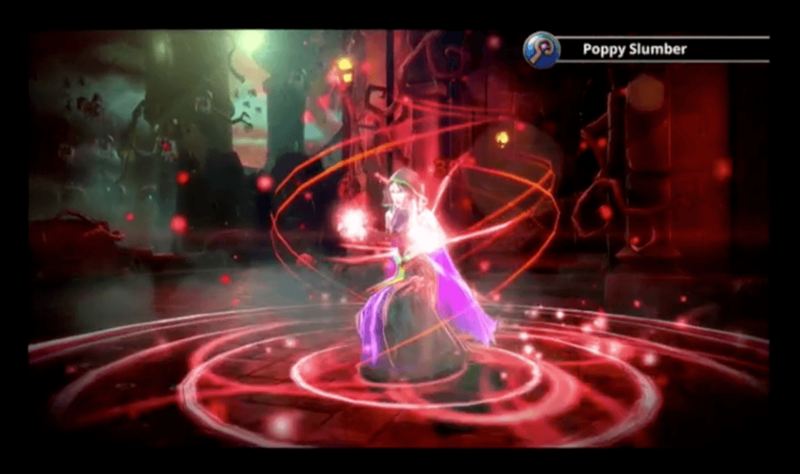 That payment was not revealed, but the game will be available by the end of 2016. Just as Cook tries to carve his own path in the shadow of Steve Jobs, this announcement was a little unconventional to say the least. The show began with a clip of Cook riding with Carpool Karaoke’s James Corden, singing along to OneRepublic and Lynyrd Skynyrd. 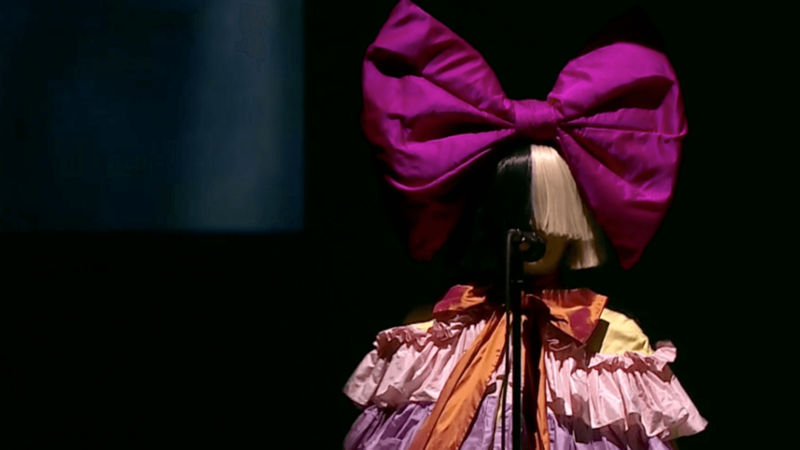 Even more strangely, it ended with a live show by Sia, dressed in a bizarre multicoloured frill dress, with a giant pink bow on her head. It was the first live performance of her latest single, currently topping Apple’s charts.